Madrid (Spain), November 19, 2018 (SPS) – The Polisario Front will go to the coming negotiations with Morocco, scheduled in early December in Geneva. 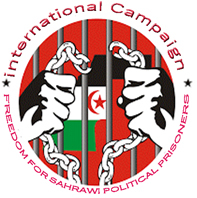 The Front will participate in those talks in "good faith and with good willingness to relaunch Western Sahara conflict settlement process and on the basis of the international law, Sahrawi officials said in Madrid, on the sidelines of the 43rd European Conference for Support and Solidarity with the Sahrawi People (EUCOCO 2018). "We are going to Geneva … to relaunch the settlement process so to allow the Sahrawi people to exercise its inalienable right to self-determination," Sahrawi minister delegate for Europe Mohamed Sidati said following the Conference Eucoco 2018. UN special envoy for Western Sahara Horst Kohler has invited the two conflicting parties, Morocco and Polisario Front to a round table on 5 and 6 December in Geneva. Those direct talks are part of the relaunch of the UN process aiming to resolve the conflict in Western Sahara and the exercise by the Sahrawi people of their right to self-determination.